It’s one of the biggest BUZZES in alternative healthcare today. And I noticed that the pins on my Pinterest Histamine Intolerance board are the most repinned of all. One of my clients called me a genius for suggesting that it was what ailed her. Histamine is a molecule that is involved mainly in activation of the immune system. But it’s also released by bacteria. So, if you have SIBO (Small Intestinal Bacterial Overgrowth … another big health BUZZWORD today), there’s an obvious over-stimulation of histamine release. So SIBO can also cause inflammation and activation of the immune system. And as part of that response, histamine is also released. An escalating mechanism between SIBO and histamine intolerance is therefore activated. In other words, it’s a kind of self-potentiating cycle where one feeds the other, leading to a downward-spiraling condition and a deconstruction not only of the immune system but the gut in which it resides. That’s the real problem … yet again we have a situation where toxic overload … from the environment, bad food, stress, emotional distress (it’s been researched that emotional states such as shame can also cause inflammation) … you name it … can cause a life-threatening overload. What is a low FODMAP diet? FODMAP stands for Fermentable Oligo-, Di-, Mono-saccharides And Polyols. In other words, these are CARBOHYDRATES that FERMENT in the gut and, therefore, can feed SIBO. Actually, I recently put a client with localized bacterial overgrowth (NOT SIBO) on a Pegan diet (Mark Hyman’s reframing of a healthy diet in his new book, FOOD, which encourages organic and free-range meats and vegetables and eschews high-FODMAP foods such as grains, sugar, and fruit) and told her to not eat ANY grains and fruit for two weeks. Does she have Histamine Intolerance? I don’t know … as the experts have said, there’s no way to diagnose it. But it seems like the ROOT of it (and I’m big on getting to the root cause of things) is that bacterial overgrowth and assaults to the immune system can contribute to it. And putting people on a similar diet to see if they respond, like I did with my client, is probably the best diagnostic tool I know. But let me leave you with these thoughts about Histamine Intolerance … histamine is an important part of our immune response. And bacteria is vitally important for digestive balance. But it’s when we create environments for imbalance for both of these … and other helpful things that co-exist within us, like yeasts and even parasites (sounds like a yucky proposition but it’s true), that all these problems begin to “bug” us. 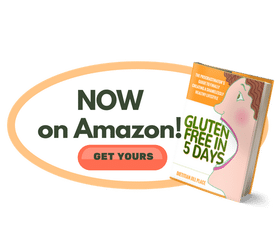 Do you think you have Histamine Intolerance? Why? jtmooqqe,This website truly has alll of the information and facts I wanted about this subject and didn?t know who to ask. Thanks so much. If you’d like to talk feel free to call me at 833-YOUHEAL or email. I fyou’d like more info, sign up for my $47 Prescription Solution. I’d suggest that you fill out the opt-in box on the home page to find out more. All blessings!